Put the shells back in the pot with the cooking liquid, bring to a boil, and boil, covered, for 30 minutes. Strain the stock. (You will have about 7 cups.) Set 1 cup of stock aside in a small saucepan for the sauce and freeze the remainder for use in a bisque or for making a soup with pasta. FOR THE ARTICHOKE HEARTS: Preheat the oven to 350 degrees. 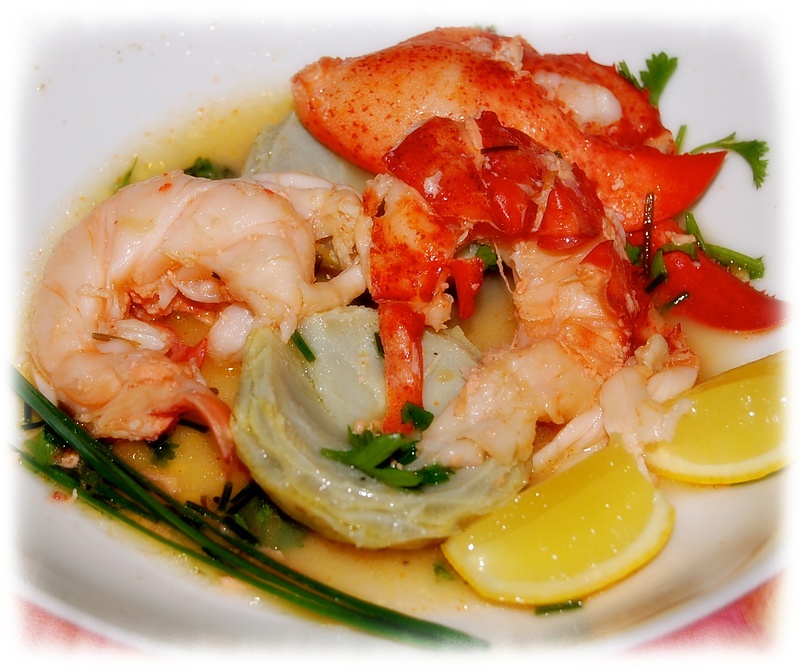 Place an artichoke heart on each of four plates and arrange the meat of half a lobster tail in the cavity of each, with a piece of claw meat alongside. Spoon the sauce on top, sprinkle with the roe, and serve.